How do I archive my classes? 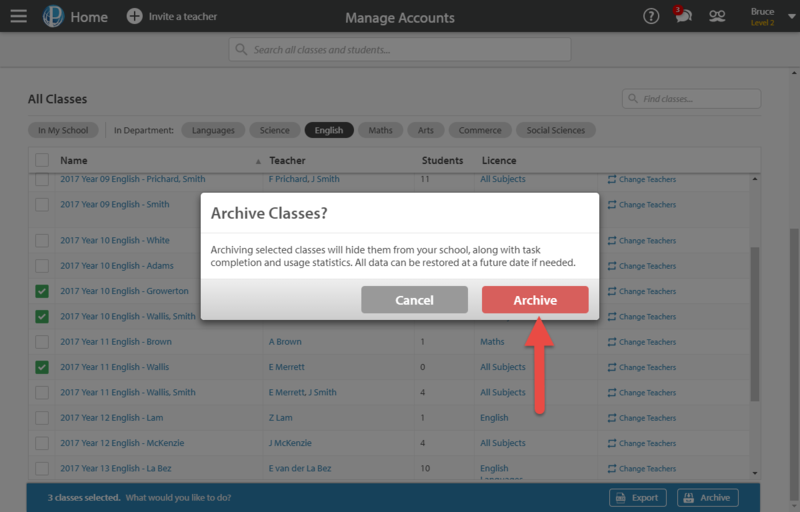 We have made it easy to archive any classes that are no longer needed. Archiving a class preserves everything about the class at the time it was archived - including who was in the class, the tasks and assessments assigned to it, and more. Open the Manage Accounts tab from your Control Panel. 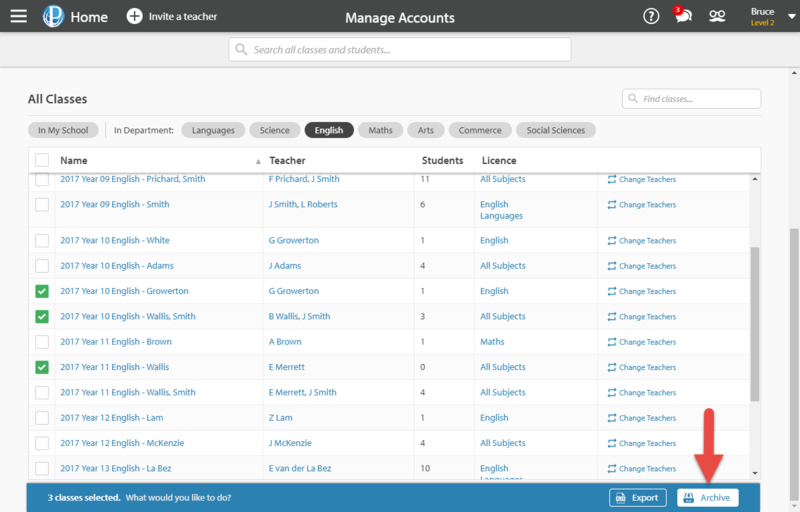 Find the class that you wish to archive at the top of the page and select the options button (three vertical dots). In the drop-down menu that opens, select Archive Class. 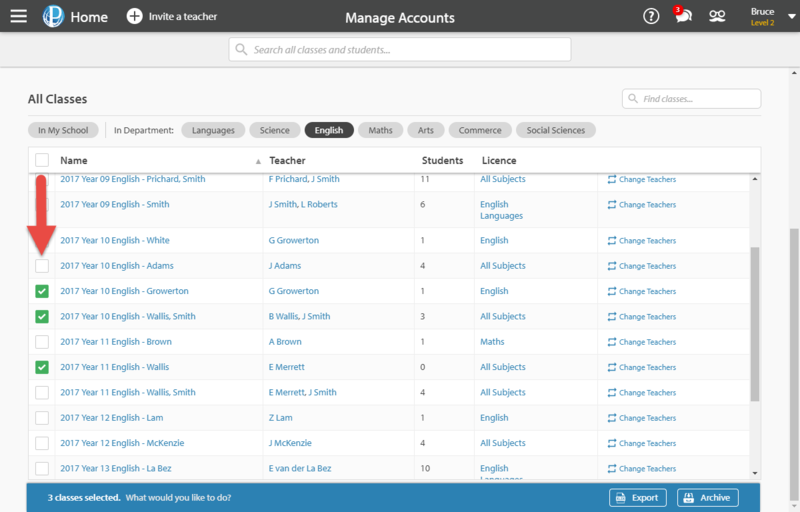 Under the All Classes section of the page, select the class or classes you wish to archive by ticking the box next to the class name. In the blue bar that appears at the bottom of the page, select the Archive button. To confirm your selection, a prompting Archive Classes? box will appear. Select the red Archive button. If you archive classes by mistake, you can easily unarchive them.